Teach others. Yep, it’s simple but this is a golf secret that works like a charm. Here’s why. When learning new stuff we rarely retain more than 50% of what’s being taught. This can be a best case scenario. A lecture room, where the teacher is talking, you rarely retain more than 5%. Reading something in a book or website you’ll retain 10% if you’re lucky. These figures may seem really low – but they highlight a flaw in our teaching/learning process. Something that needs serious attention if you ask me. But there is a way to retain 90% of what you’re taught. And this my friends can have an immediate impact on your golf game. It’s a hidden and unknown secret to improving your golf game. When you learn something new take a few moments to teach someone else. Explain what you learned and demonstrate it. Make mistakes. Activate your concentration and come back to the original source. It’s an awesome way to learn and understand. You’ll also bypass most others who simply read and then forget. This golf blog has been my greatest golf secret to improving my game. All of the lessons and blog posts I’ve written have helped me become a better player. I now understand the automatic process better than most. There’s a deep understanding – an ownership of the process that makes golf easier and more fun. Steady speaks regularly with Tribe members. He coaches them and is willing to help out. Grayden writes his own stuff. He takes the time to understand, learn and participate. It’s a small effort but it makes the world of difference and these guys have improved more than most. This is not a coincidence. So don’t be scared. Take what you learn today and tell someone about it. Write it down. Teach your young son, the kid next door or your dog. When you are forced to teach you activate your learning system. You’ll retain more and gain insight that even the greatest coach couldn’t give you. This is a true golf secret. My game has improved out of sight because I’ve taken the time to teach others. I love helping out but it’s also the best recipe for my own game. It really is a win-win situation. Stop being inactive. It’s time to step up. Leave a comment. Challenge me. Help someone else. Do something different. But whatever you do don’t just read and let it go. Take action. You won’t be disappointed. This article was inspired by a business mentor I think very highly of. He writes great stuff and doesn’t muck about. Check out his article here. interesting post. Being a chalkie myself I understand the need the need for relearning.It works best by demonstration, explanation, practice and revision. Any physical skill requires hours of correct repeatable action. By teaching others you learn,pick up mistakes that you may make and help others. I read an inteersting fact that elite athletes have spent 10000 hours of training/execution to gain mastery.Don’t be put off by the hours, it can be fast tracked by teaching and routine. I taught my 7 year old son how to hit a golf ball. How, by teaching him his routine first( walk to the ball, getting set)then taking the club back and throwing the clubhead at the ball). That’s it. But remeber we are limited by time and abilities. Auto golf is about playing at YOUR optimum with minimal distractions. @Steady: I believe the 10,000 hour rule is fine if you’re looking to be a real master (read World Champion etc) but it is not overly realistic for mere mortals. We don’t have to be superior – sometimes good is near enough. The other point is you can sneak up on 10,000 hours – day by day, week by week. We don’t have to reach this goal in the first 5 minutes. I am a great believer in the auto process but everyone I talk to of recent are caught up in the proven method (as they see it) and that the professionals are the ones to see.So as you can see I will find it difficult to do as you say.I do take on board what your saying would be of great benefit so perhaps it might be a case of having to talk to the dog ha ha! @Lukey: Write down what you’re learning. Teach your wife. Make a recording. Step out of the comfort zone and I promise you won’t look back. Let me know how you go with the dog. I have found the last couple of posts fascinating, this one tops them off. The stance one really opened my eyes up. I have always had a problem with a slice/block especially when I tire (eg back nine holes). Getting set was the “key”. I have had many many lessons over the years (eg where my hands, club, “tongue” should be). Sometimes the lesson worked and sometimes it made it worse. What have I learnt from the stance post – GET SET IN A SOLID POSITION – OWN IT. What I had been doing “was falling foward on my toes” – what a dummy. As I have said previously “throwing a club” is also a key. Solidy agree with the learning process, I was in the computer business for many many years. INOVATION, REPETITION, MAKING MISTAKES etc are SO SIMPLE GEMS, however, largely ignored. Again – Happy Easter all. @ Bernie: Thanks for posting. I’m glad you’re liking the content. Keep up the good work. More good stuff to come. Three up with two to play – in the past I would have aimed to ‘protect’ a good score. I was nervous and did not want to stuff up as has happened so often before. I felt that the only way to handle the pressure I put on myself was to redouble my efforts to play automatic. I really did commit because I just had to minimise the tension. I have never done that before in the same circumstances and I am 64 years old and still bloody learning! Cheers and very Happy Easter to all. Well done DP and thanks for sharing it with the rest of us. It encourages us all to keep at the plan when we hear of positive outcomes like this. I also reckon its brilliant that you’re 64 and still prepared to “learn new tricks”. Good on ya mate. Like a number of us I am over 60 years young – actually 62. I am just starting to learn the auto process. One of my long deceased grandmothers used to say “the day you stop smiling and learning is the day you die”. Hopefully ALL of us still have many many more happy/learning years on “mother earth”. Lukey: I played with “Joe” a couple of weeks ago. He was obviously an older man (first time I’d met him) but he looked fit and strong and hit the ball well. I noticed that Joe thought his way around the course pretty well too. He acknowledged “thinking” shots that others played, he queried why they used certain clubs, he was basically involved and inquisitive. After a while I got curious and asked him how old he was. He said 78. I laughed and turned to his mate and said “So how old is he really?”. He said “78”. It was one of the few times in my life I was actually lost for words! After the round I shook Joe’s hand and said “Thanks for the education”. Age has nothing to do with it when it comes to golf. You’ll see courage, dignity and self control in this game from 18 to 80.
playing at my old course in the blue mountains on Saturday. I haven’t broke 80 here since last time I played here in 2009. The 10000 hour mastery is of course for tour pro’s. We more refined mortels need auto golf ie. 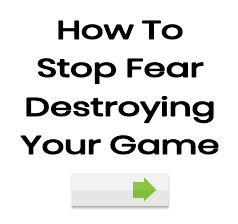 play without fear or be wrapped tight with technical thought running through our head. I’m looking fwd to playing as I will be playing smart without fear. Einstiening, playing and enjoying. That’s Golf. PS You take you when you play. 1. There’s a fine line between rushing and taking your time. Even just taking a few extra seconds can make a big difference. – especially during the walk to the ball I found today. If I start “striding” to the ball at all things start to go awry. I need to REALLY swagger and take my time to get the ball to make sure I get nice and “slow and heavy”. Even rushing a little bit affects the shot I’m noticing now. 2. You’ve got to LOVE to putt. I was doing the routine but I knew in the back of my mind I was not looking forward to putting today and it showed a bit. You have to LOVE to putt not just “tolerate it”. You’ve got to feel like you can’t wait to get onto the green . Learn to LOVE the feeling of simply hitting the ball. Learn to LOVE the sound of the ball clicking off the head. No place for apprehension in putting. 3. Don’t panic through the flat spots. I ended up with 36 points again today despite a couple of very rough patches during the round. But I’ve learned now to just keep trusting and doing the routine. Its amazing what sticky situations it will pull you through. Playing golf the Cameron way has done a lot for my game: its MUCH more consistent, its MUCH less stressful and MUCH more peaceful. But the hidden plus I hadn’t really banked on is it allows you to SELF TEACH. The well-meaning advice from others during the round pretty much bounces off now because I know what I’m doing and where I’m going. We have “inside information” Tribers! – the value of which gets more apparent the longer you play this way. How have others gone this weekend? And more importantly, what did you learn? Point 1: Only YOU will know when you’re owning your setup. It will get to the point that you will not be able to play unless you do this step correctly. Point 2: Putting. It’s an interesting skill. Ultimately I think you need to lose yourself in the routine. Unnecessary thoughts will become less of a problem and you’ll be able to hit the putts automatically. It’s east to write about but does take some to get the right mindset. Point 3: You should never panic. Golf will always give you up and downs. The tendency is to panic and do things differently when a few poor shots appear. True automatic golfers will shrug their shoulders and keep trucking while others will be wasting time and energy with panic. I won’t be able to play while I’m here in the USA. Played today and started with a double bogie followed by another and another and normally my round would have been absolutely shot but I dug in and stuck with auto.At the end of the day I ended up shooting 81-18=63.Now that in my estimation is a very good endorsement for auto golf.I look forward to doing a video for Cameron and you fellow tribers so we can all learn to improve that bit more. Lukey: that is truly REMARKABLE golf. And I agree with you: there could hardly be a better endorsement of Cameron’s system! Congratulations. Not so much on the score – good as it was – but for having the courage to commit to the routine even after opening with 3 double bogeys! Fantastic effort. So unless my math is wrong, you’ve played the last 15 holes in 3 over par!…. and this is a 61 year old off a handicap of 18. Remarkable indeed. Thanks very much for sharing this with us. I haven’t stopped thinking about it and its caused me to re-set my sights. I’ve just re-defined what I reckon I’M capable of now!. Good on you mate. I must put things into perspective and that is I belong to a little nine hole course and the par is 64 and so the score is not that fantastic but none the less I still am very happy with my overall endeavour.I also thank you for your very kind words because it makes me all that more enthusiastic to continue on with the auto process.I also feel humbled that you think I have enthused your very self and if that is the case let us continue on and keep it going. 3 double bogies to start is soul destroying and your response was terrific – you still beat your handicap no matter that the par is 64 – well done. I don’t think I could do the same unless I made sure to play with Cam’s philosophy and just be thankful to be out on the course with 15 holes of potential enjoyment to follow. I think at our age we really need to keep appreciating these opportunities while we can. Yer that’s so true about retain more if you put it all into practice. What i find helpful is to just get out there and practice straight after a lesson. For instance say i have had a lesson for 30mins or 1hr, i will spend the same time practising and cementing the habits that i am trying to ingrain. This way i am improving far more and i find i am able to adapt to chanmge a lot easier. @Jake: See if you can take your learning a bit further by teaching it to someone else. This will force you to really learn new things and enhance your comprehension. I am just interested in finding some info on how to control anger on the golf course. I am currently struggling to stay positive as there are things in my game that are starting to really annoy me. In turn I become negative and unhappy while I’m out there. I hate feeling like this on the course but I am finding it hard to fix! I’m going through the same angry feelings over and over again. @Correy: This is something that I’ve battled with. If I’m honest it’s only been under control for a short period. I feel you need to understand why you play and realise it doesn’t help you play any better. In my own case it was to defend poor play and to hide insecurities. When I started to grow up I was able to relax and keep calm during poor golf. Feel free to email me to discuss further. couldn’t agree more, teaching is learning, even if you are not an expert of what you are teaching. Nobody wants to give advice that makes someone worse, unless of course you tell your opponent not to leave the putt short! I think you can learn as much from reviewing a bad golf swing, as watching a professional’s and trying to copy it. Sometimes its far easier to recognize a fault or defect, than to recognize something done right. Anyone who’s married should know this! LOL. I am not a golf professional, but I love studying the swing and trying to get to another level with my own game, but I also love to help others with theirs, and have learned a ton from it.